Have you noticed how beautiful faded Persian rugs are? The cloudy texture adds an extra dimension to the design. 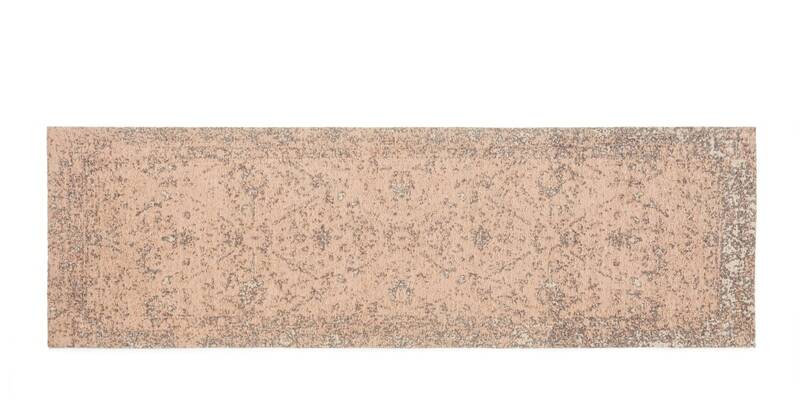 We’ve recreated the effect, with the Yolanda rug. It was woven with a cotton and viscose blend. The viscose giving it a subtle sheen and a touchably soft texture. You'll appreciate it even more when your socks are off. Using a bold colour really accentuates the antique finish. The dusky pink, charcoal and petrol blue really pop next to a sofa, or under a dining table.